Requires 8" DVP pipe. Must have 36" minimum vertical before attaching a 90 degree elbow to the unit. See venting section of manual. 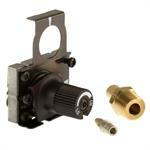 Approved for use with PVLP-SLP & PVI-SLP-B with PV-IPI-CK kit and power vent wire harness (order separately). When Power Vent is installed, lights can only be operated on high. See venting section of manual. 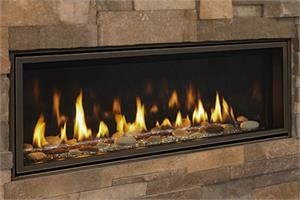 *For select products: Heating capacity to be used as a guide only. 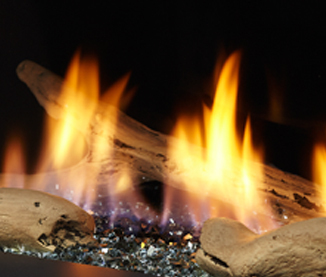 With Direct Vent fireplaces and inserts, 100% of combustion exhaust and fumes are removed from your home. 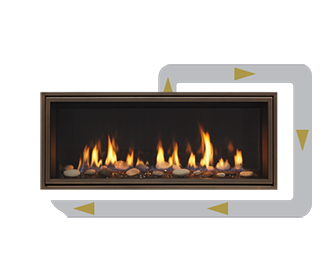 These sealed fireplaces provide optimal heat and conserve energy. 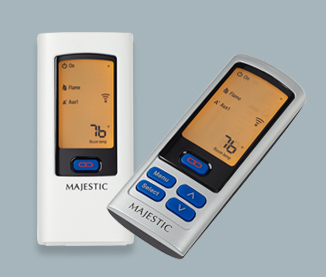 At Majestic, we are committed to your safety. 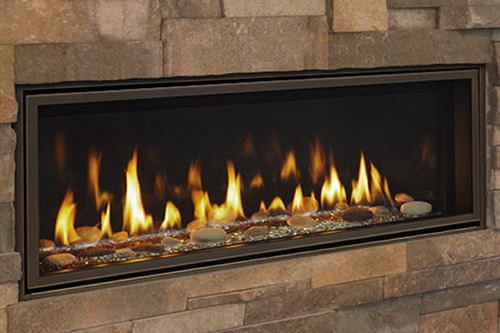 We include safety barrier screens as standard equipment on all Direct Vent gas fireplaces and inserts. These screens help reduce the chance of a potential serious burn. We’ve also led the industry with other advanced safety developments—automatic intermittent pilot ignition systems and Direct Vent technology, to name a few. 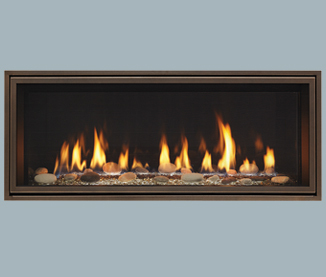 Accent your flames with glass colors, stones, logs, reflective panels or a combination. Make it your own. 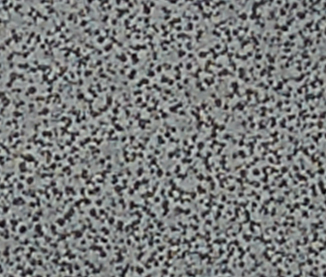 Bronze glass color is standard.